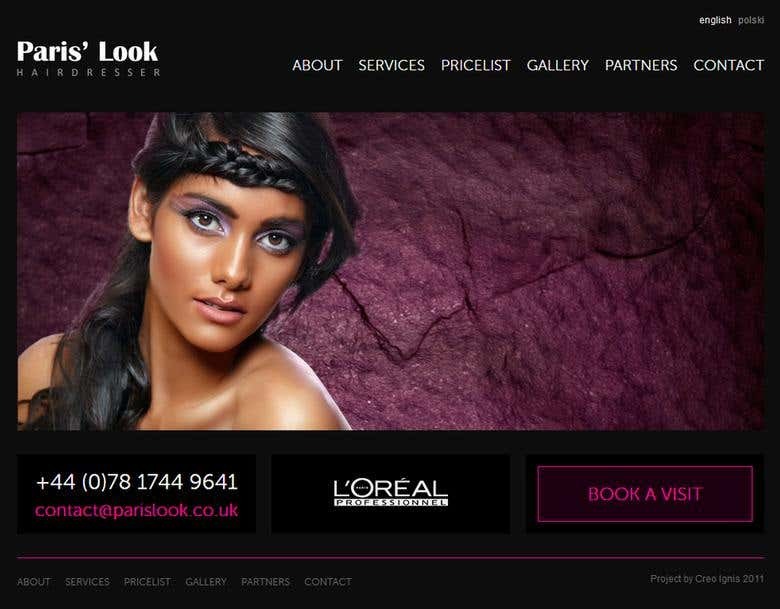 Paris&#039; Look is hairdresser salon, located in England, London. I was asked to design its website. The salon&#039;s target group are in 80% English women. Client wanted the website to be bilingual, with simple layout but retaining quite an exclusive, prestige character with, citing client&#039;s words, "a little bit of sexiness". The solution is based on Wordpress CMS. Dark colors are brightened by magenta accents that add life and energy to the website. By implementing a Wordpress WPML plug-in, the whole project is bilingual with its translation management being intuitive and comfortable. Hello, my name is Piotr Nowinski and I am a passionate designer with over 7 year experience in the industry, specialized in web-oriented content. I also design corporate identity and print materials.